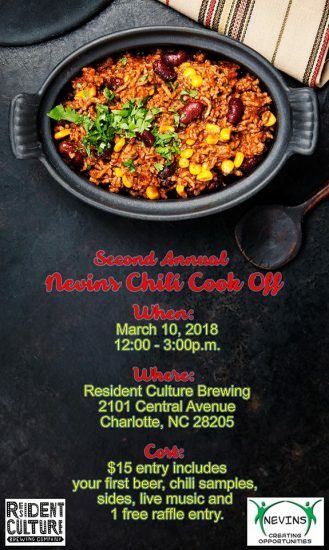 Come join us for a great day of Chili, Beer and Fun at Resident Culture Brewing in Plaza Midwood! 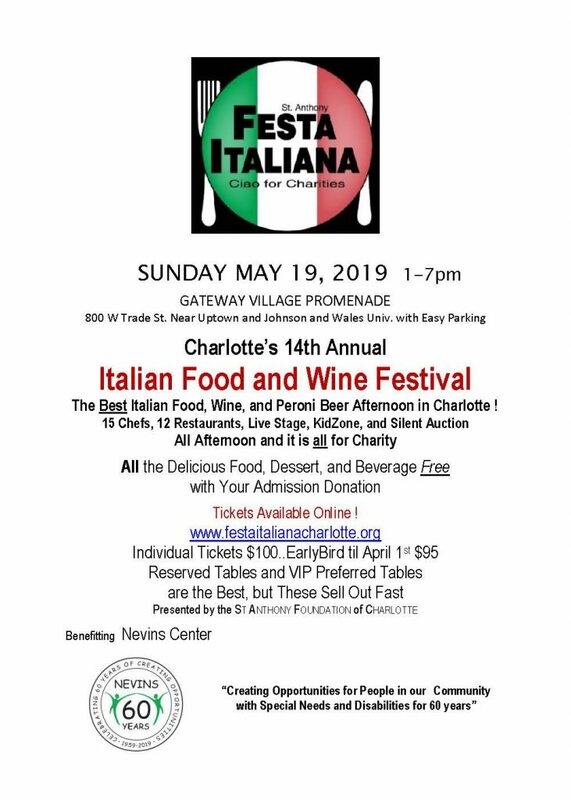 We will be serving up 10 of the best chilis, along with some of Charlotte’s best beers–all to benefit Nevins participants. 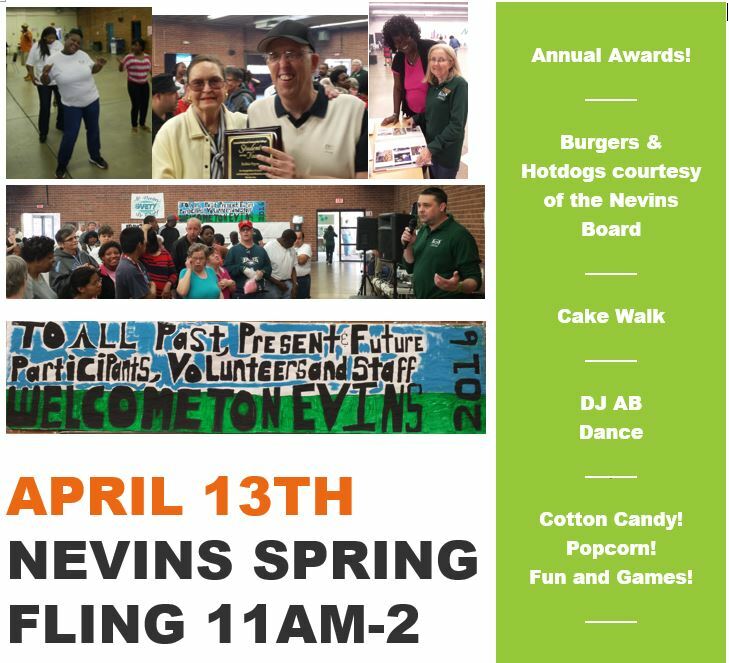 And don’t forget the very popular raffle with gift cards, meals and fun surprises for only 1 dollar per entry! Our Art Program will also be showing and selling the amazing artwork by our wonderful participants in one of our annual exhibits! Live Music by Troy Michael Batey! All of this will go to help defray costs of a summer break beach trip for our participants. While most of us get to go to the beach with little planning, most of our participants have never been on a trip with friends, so we are loading up this summer and planning a trip to the beach! Like and share the facebook event. 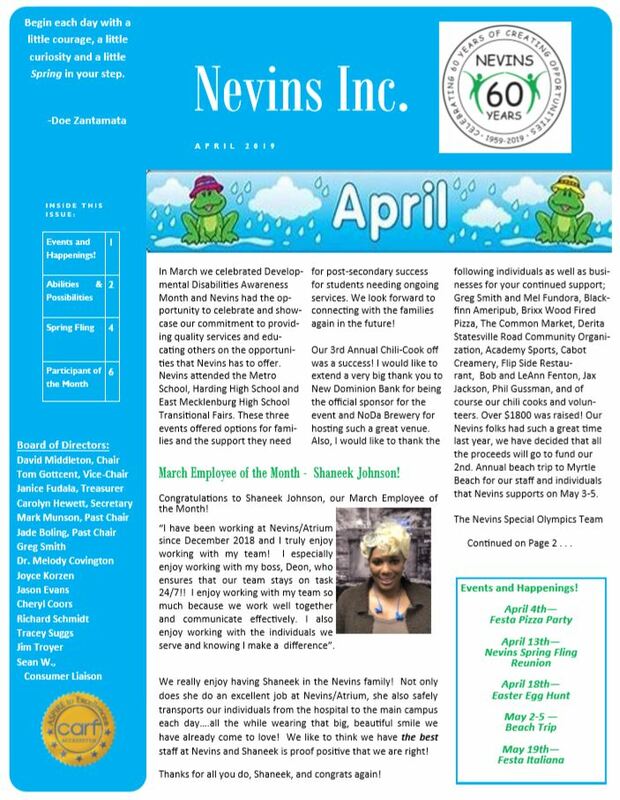 Download a Flyer to post at work, community space, or as a reminder! Download Flyer here. Is YOUR chili the best? We do have a few spots open for Chili Cooks! $25 puts you in the running for 1st and 2nd Place cash prizes of $100 and $50 in two chili categories. If you’re interested in competing, just download this form and send in with your entry fee!